This book is designed to help people identify their true goals and meet their personal potentials. By illustrating the principles and disciplines of self-improvement, Seymour encourages readers, at any stage in their lives, to achieve happiness and fulfillment. 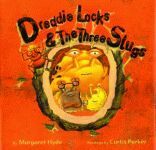 This vibrantly illustrated story by first-time children’s-book author Margaret E. Hyde explores the ultrasticky nature of banana-slug slime and the incredible strength of the ant in a whimsical re-creation of the classic children’s story Goldilocks and the Three Bears. Hardcover. Howdy! For years, city dudes have been trying to move and fit in to the West, more often than not making fools of themselves in the process. Now there is hope for the unenlightened . . . hope that can be found in the pages of A Dude’s Guide to the West. 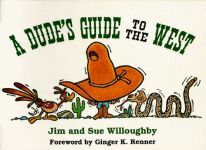 It includes everything that you might ever need to know about how to be a true Westerner. 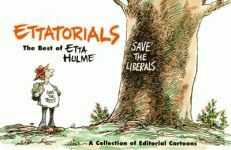 One of the best-known female editorial cartoonists in America today, she has worked for the Fort Worth Star-Telegram since 1972. Paperback. This book explores all the aspects of accessing a level of consciousness where the zone can be accessed and prolonged through ten “pathways to the zone,” and through understanding what the zone itself is. Celestine Prophecy author James Redfield’s commentaries at the end of each section expand the spiritual aspects of the zone. Hardcover. This complete collection details Keats’s artistic legacy chronologically, and illustrations and annotations together present a vivid depiction of the development of the acclaimed illustrator. 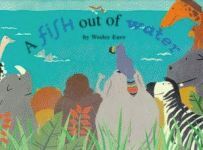 Through these notes, one may learn how works were received, the significance of a particular work or group of works, as well as considerable information on children’s book publishing in the 1960s and 1970s. Hardcover. Rosamund Jones-Keyes is a single mother living in Atlanta, Georgia, with her nine-year-old daughter, Caryl. Their lives become far from mundane when, after taking on a job at a chemical company, Rosamund is confronted by a coworker, Jeffrey Shuggs. Mr. Shuggs believes that the company is involved in a cover-up operation that could affect the lives of many people. He asks her to help him investigate this alleged conspiracy in order to potentially save the lives of numerous individuals. However, their exploration and examination of the facts does not go unnoticed. Someone seems to know about their plan and attempts to stop them from getting too close to the truth. Hardcover. From this country’s revolutionary beginning, Scottish-Americans have contributed greatly to the success of America. Many men and women have been the first in their respective fields to accomplish unparalleled feats that not only shaped their own destinies, but that of the United States as well. These Scottish-Americans include astronaut Neil Armstrong, businesswoman Juliette Gordon Low, and president Woodrow Wilson. Hardcover. Could it be true? Could a fish and bird have fallen in love? This unique collaboration between “Dragon Tales” co-creator Wesley Eure and the Meredith College Art Department uses simple colorful shapes to illustrate this eye-catching book. Hardcover. We all know about Florida’s sun, surf, and senior citizen population, but what do we know about its seedy underbelly? 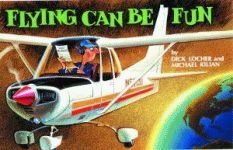 It is a fact that Florida’s loophole-laden tax laws and laissez-faire attitude have attracted all kinds of swindlers, from the garden variety con man to criminals as infamous as Al Capone. It is also a fact that Vic Knight knows virtually all there is to know about every one of them. A is for aerial, “the part of the aircraft most frequently broken off during walk-around pre-flight inspection to see if anything is broken off.” W is for wilco, “Roger’s last name.” This is the complete A to Z of flying jargon. Paperback. This is a Firebird Press book. Pelican’s normal trade discounts apply, but all Firebird press books will be sold on a NONRETURNABLE basis only! Like Robert Frost before him, Jim Metcalf was a poet whose commentaries on everyday objects and encounters offer a keen insight into man and nature. 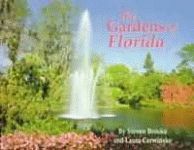 Compiled by his wife Mary Ann after his death, these poems appear exactly as they were written for television and are intended to share with the reader a rich legacy of love, hope, and understanding. Why does it always seem that successful people know something that the rest of us don’t? Because they do! Mike Hernacki knows as well and makes the secret available to everyone in his book, The Forgotten Secret to Phenomenal Success. He presents a means to achieve in any area—weight loss, job opportunity, health, fitness; any part of life that needs improvement. Paperback.